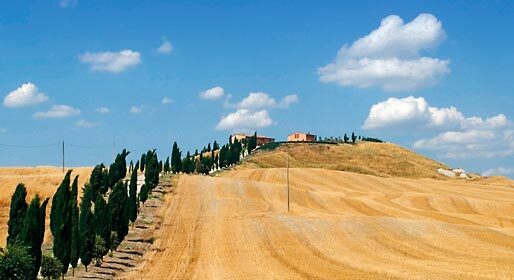 Bagno Vignoni is a small village in the heart of the Valdorcia, a village where time seems to have stood still for centuries. Situated on the Via Franchigena, the historic pilgrim route leading to Rome, Bagno Vignoni centres around a large pool of thermal water. Bordered by a 14th century wall, the pool is continually replenished with warm water (52°) from the village's thermal springs. 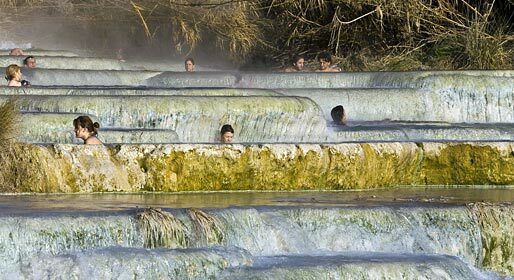 The health inducing properties of the water have been known since ancient times. 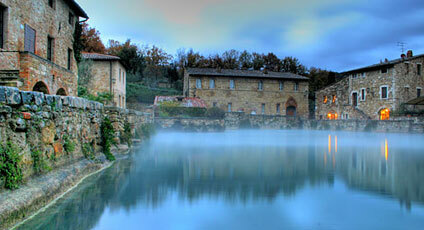 Today, the waters are used in spa therapies performed in the various wellness centers situated in Bagno Vignoni. 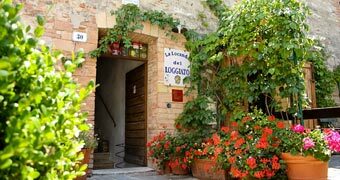 Many of the medieval houses and palazzi of Bagno Vignoni have been transformed in attractive bars, restaurants, and shops. The buildings overlooking three sides of the central pool are particularly charming, A typical loggia supported by pillars in travertine marble closes the fourth side of the baths. Legend has it that Saint Catherine, after whom the loggia takes its name, used to bathe in these waters, as did members of all the great noble families of Siena. 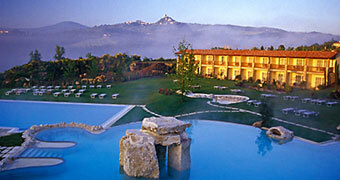 On cold winter nights, the contrast between the external temperature and that of the warm thermal waters produces vapours which rise up from the pool and envelop the whole of Bagno Vignoni. The resulting magical, almost surreal atmosphere, was immortalised in the Russian director Andrej Tarkóvskij's film, "Nostalgia".